The Red series are an extraordinary audio experience, guaranteed to captivate the senses. Cabinet walls that flex in time with the music ensure crystal clear sound without boxy artefacts. The cabinet is a source of much colouration due to stored energy. Several years ago the BBC conducted research into cabinet design and found that rigid heavy enclosures coloured the sound making the spoken word sound unnatural. The BBC solution was to use thin walls with heavy bitumen pads attached for damping. Our own research has found that the heavily damped thin wall cabinet works well for the midrange but too much cabinet flex softens the bass response. Our solution is to keep the cabinet walls thin and to use internal bracing shelves to control cabinet flex. The Red series light cabinet vibrates when the drive units are playing but stops quickly when the drive units stop ensuring near-perfect sound reproduction. Innovations in drive unit loading deliver the truest sounding bass response. The Red 100 and Red 150 feature a misaligned bass reflex with an additional mechanical bass loading and damping system. Either side of each bass unit is a bracing shelf containing multiple apertures with the port under the bottom shelf. 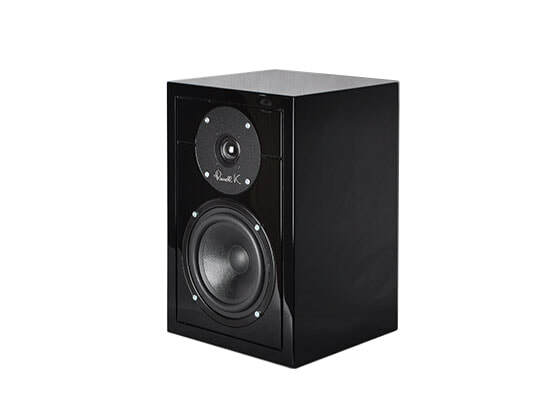 The midrange energy from the rear of the bass/mid unit is contained within the two shelves which mean only bass escapes into the full volume of the enclosure. The result is a drastic reduction of midrange standing waves and almost no midrange energy making its way out of the port tube. The very low port tuning of 35Hz on the Red 100 and 21Hz for the Red 150 produces a bass that is extraordinarily tight and extended. This ensures bass is now reproduced as individual instruments rather than a one-note noise. 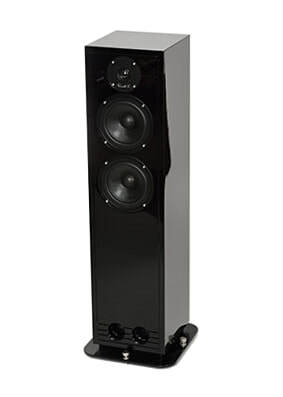 Red 50 features a simplified system based on the Red 100 with one shelf mounted above the bass unit and the port at the top of the enclosure tuned to 55Hz. CLICK ON PRODUCT IMAGES FOR MORE INFO. 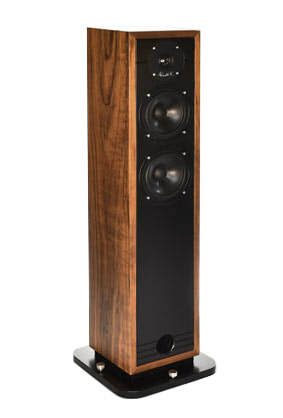 ​With no damping, the cabinet moves in time with the main drive unit for superbly accurate sound reproduction. Most loudspeakers have some form of damping inside the cabinet to absorb the energy radiated from the rear of the drive units. However, our research has found that if the cabinet is well designed with sufficient internal braces and baffles, damping can be detrimental. Damping slows down the sound, making it out of synch with the output of the driver. With the Red series, we’ve removed the damping which allows the cabinet to breathe but in time with the main drive unit ensuring freedom from cabinet distortions. Finely tuned crossover produces the perfect balance of sound. At Russell K, we’ve conducted thousands of hours of research into the effect that different crossover types have on the sound from 6db (gentle roll off) to 24db (very steep roll off). We’ve discovered that it’s the combination of drive units mechanical roll off and the crossover working in harmony that produces the best sound. For the Red series, a modified 12db network is used for both the woofer and the tweeter with only one coil for the woofer and one capacitor for the tweeter in the signal path with the drive units connected to the crossover in positive phase. We’ve spent hours fine tuning the crossover, adjusting the components for voices and different types of music on various electronics. 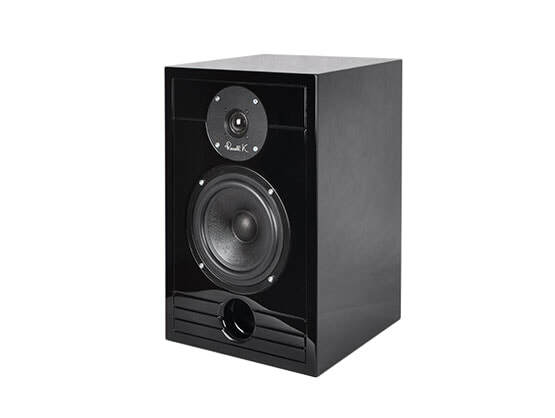 This lengthy process of fine tuning ensures a speaker that sounds just like the real thing. ​CLICK ON PRODUCT IMAGES FOR MORE INFO.